After a particularly snarly morning of play fighting between Sunny and Rosy, I started this drawing earlier today and then halfway through realized I had already done a post on their fighting maneuvers! 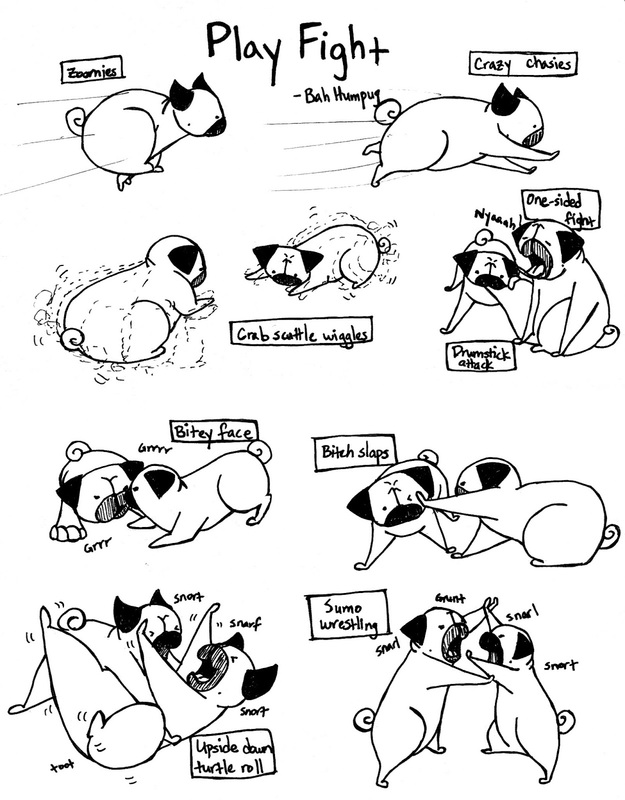 (Post: Let's Get Ready To Pug Ruuumbbble!) Ah well, I decided to finish the drawing and post it anyways. That's too cute. My puggy likes to do the drumstick bite on my other dog also! Hope you're feeling better soon.